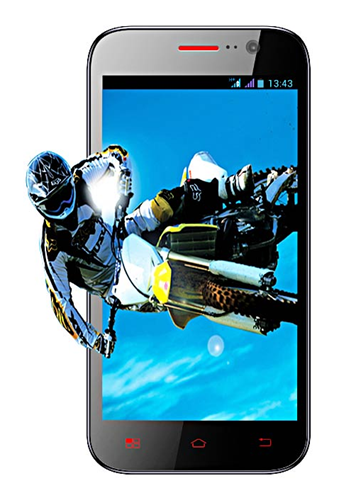 Swingtel , an Indian smartphone maker has launched Swingtel TigerTab, a quad core smartphone priced at 11,500 INR. With the growing competition in Indian market many manufacturers are offering respectable specs at a relatively lower price. Let’s see what this phone has to offer. The phone comes with the latest version of Android, Android 4.2.2 jelly bean. It is powered by a 1.2 GHz quad core MediaTek processor which comes with a Power VR SGX544 GPU. This coupled with a 1 GB RAM will be sufficient enough to avoid any lag unless used for extensive gaming. Internal memory of this device is 4GB which is extendable using a microSD card. TigerTab has a 5 MP primary camera which is slightly less according to this price range. Many manufacturers are offering 8 MP primary camera. It also has a secondary camera of 1.9 MP for those interested in video calling. Camera comes with an LED flash which will help you take clear pictures under poor lighting conditions. Connectivity features include 3G,Wi-Fi,Bluetooth and USB connector. It is Powered by a 2050 mAh battery, this is will be sufficient enough to carry you through the day. With India being ranked as the third largest smartphone market in the world after US and China, competition has got even stiffer and smartphones with lower brand value will have to bring something new to the table in order to penetrate the market. This phone is priced at 11,500 INR and you can buy it from Snapdeal.